Radioactive beam; exotic nuclei; elastic scattering; transfer. The University of Notre Dame, USA (Becchetti et al, Nucl. Instrum. Methods Res. A505, 377 (2003)) and later the University of São Paulo, Brazil (Lichtenthaler et al, Eur. Phys. J. A25, S-01, 733 (2005)) adopted a system based on superconducting solenoids to produce low-energy radioactive nuclear beams. In these systems the solenoids act as thick lenses to collect, select, and focus the secondary beam into a scattering chamber. Many experiments with radioactive light particle beams (RNB) such as 6He, 7Be, 8Li, 8B have been performed at these two facilities. These low-energy RNB have been used to investigate low-energy reactions such as elastic scattering, transfer and breakup, providing useful information on the structure of light nuclei near the drip line and on astrophysics. 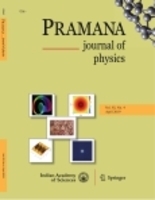 Total reaction cross-sections, derived from elastic scattering analysis, have also been investigated for light system as a function of energy and the role of breakup of weakly bound or exotic nuclei is discussed.